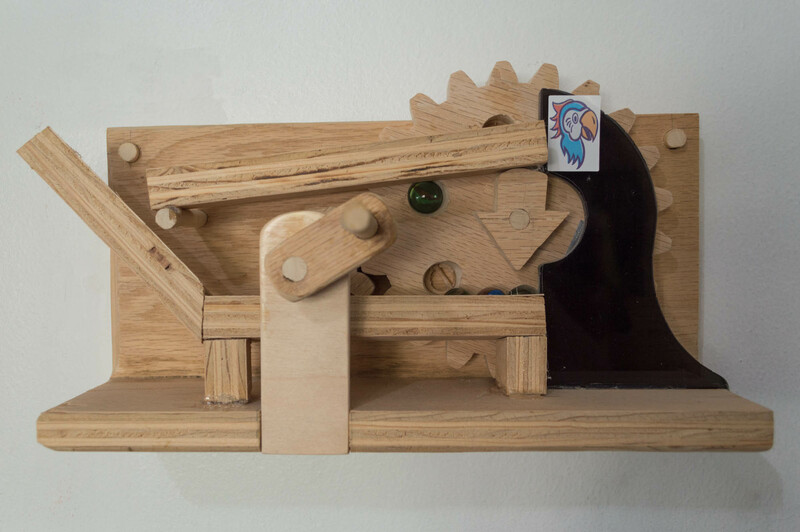 I completed this marble machine in 2012. I used Matthias Wandel’s gear generator program for templates. The ramps and holes are sloped inwards so that the marbles don’t fall off. 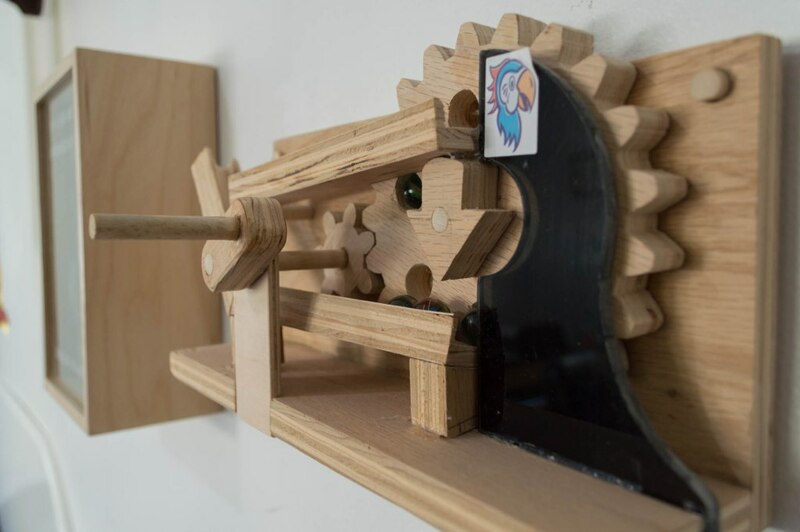 The hand crank and gears mesh freely, but the marbles occasionally get stuck in the holes.